Nigel Farage speaks out against ‘corporate globalists’ running the EU and controlling the political class in Britain. Britain is headed for the status of “colony” to the European Union, Boris Johnson has warned, just hours after news broke of his resignation as foreign secretary. “We are truly headed for the status of a colony – and many will struggle to see the economic or political advantage of that particular arrangement,” Johnson said in a resignation statement. 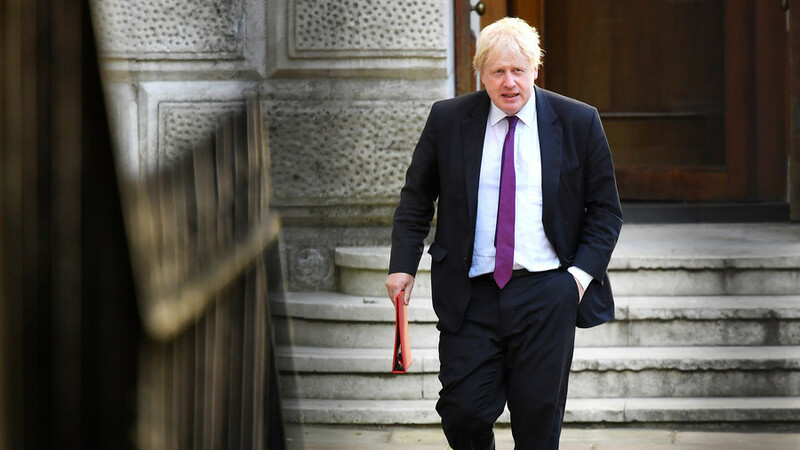 Earlier on Monday, Johnson became the third government official to walk away from the government over Prime Minister Theresa May’s soft Brexit plan which has angered many Conservatives. I am proud to have served as Foreign Secretary. It is with sadness that I step down: here is my letter explaining why. Johnson’s resignation is yet another sign of chaos within May’s government, after her EU exit plan angered staunch Brexiteers who say the deal isn’t good enough and concedes too much to the bloc. Some have called for May to step down, while reports are suggesting a possible no-confidence vote. When asked about a possible challenge to her leadership on Monday, she simply replied: “Nice try, but I’m getting on with the job of delivering what the British people want,” Reuters reported. In a letter, May told Johnson she was a “little surprised” to receive his resignation letter following productive Brexit talks on Friday. May also wrote that she had allowed Cabinet members “considerable latitude to express their individual views,” but that such time has passed. “If you are not able to provide the support we need to secure this deal int eh interests of the United Kingdom, it is right that you should step down,” she wrote. Johnson served as foreign secretary for almost exactly two years, taking up the post on July 13, 2016.